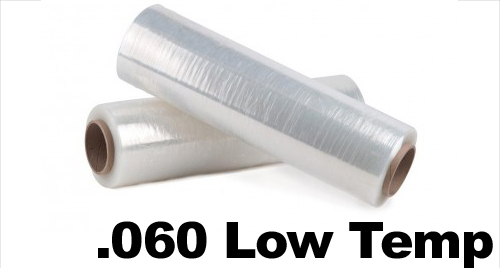 Shrink wrap film is constructed of a heat-shrinkable plastic material, made from either polyolefin or PVC. The term "shrink wrap" is most commonly used in the commercial printing and packaging industries for retail, food packaging, industrial packaging and more. But it is often also used for smaller organizations like churches and schools who periodically make baskets or other crafts. What are the different kinds of shrink wrap film? Polyolefin is the most popular shrink option on the market because of the eco-friendly properties and the fact that it is safe for use with food products. It also offers great clarity and leaves less residue on your shrink machine for easier clean-up. It does not contain chloride, therefore, it does not emit any odors or fumes when heated, like PVC shrink film does. PVC shrink wrap is less expensive and is best for use with oddly shaped products that need a tight shrink, which makes it a popular choice for retail bottles, such as lotions. PVC stands for polyvinyl chloride and works well with high-speed machines. How to use shrink wrap film: shrink wrap film rolls require a sealer and heat gun to close and shrink the material. Films will well with tabletop i-bar machines or floor standing tunnel systems. Simply wrap your product with the film, seal all the edges around your film, and then use a heat gun (when not using a tunnel machine) to shrink the film to the desired tightness around your products. Keep in mind that they will not shrink indefinitely and do have a maximum shrinkage, so you want the film close to your product for this reason, as well as to reduce waste.